Connecting a PlayStation 3 controller to an Android device is a great way to enhance your mobile gaming experience. Certain types of games are far better when played with an actual controller or joystick. Another handy reason to use a video game controller is with a device that has lost touch functionality, but still powers on. For non-rooted devices, an OTG (On-The-Go) USB cable, which roughly costs $5-$10, is all you need to start using your PlayStation 3 controller with your Android device. For those of you with root access, the Sixaxis Controller app for Android will allow you to use your PS3 controller wirelessly with Bluetooth. To use a PlayStation 3 controller with Android Nougat, you'll need an OTG cable that supports your device. Connect your OTG cable to your phone or tablet. Connect the appropriate USB charging cable to your PS3 controller. Connect your USB charging cable to the female end of the OTG cable. Once all the cables are correctly connected, a selection box will appear around an icon on your device. You can now use your controller to play games and navigate around your phone or tablet. 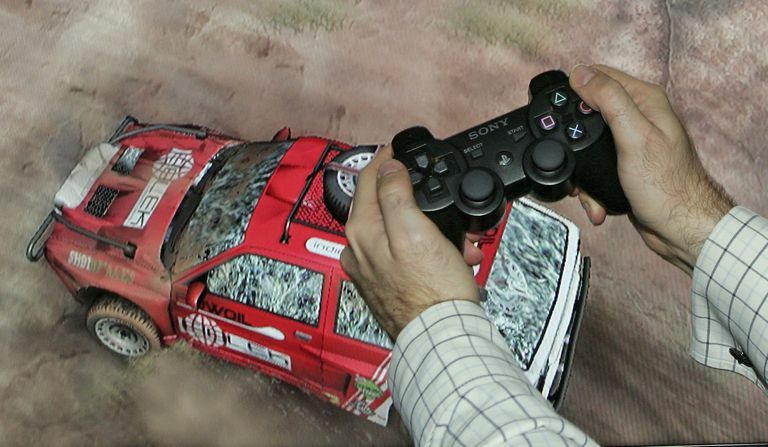 It may take several seconds for your device to recognize your PS3 controller. Sixaxis Controller for Android is a paid application that will pair your PlayStation 3 controller to your phone or tablet. The app costs $2.49, requires root access to your Android device, and supports Android 2.3 and up. Before purchasing Sixaxis Controller, download and run the Sixaxis Compatibility Checker first, to ensure the app supports your device. Open the Play Store app, enter sixaxis controller, then tap Sixaxis Controller once the search results populate. You can also click through directly with this link. Tap the green app fee button. Select your payment method from the drop-down, then tap BUY. Enter the password for your Google account, then tap Confirm. Tap Continue once your payment is successful. Tap Grant when the Superuser request appears. Enter code 0000, or 1234, then tap OK.
Once connected to your PS3 controller, the app will display the message; Client 1 connected [Battery status: ]. Launch your favorite game or emulator, then tap Preferences or Settings. If you intend to purchase any Android games, always check that it supports using a PS3 controller.